Over the past 10-20 years, diesel engines have been redesigned with fuel injectors that have extremely high pressures. We're talking 30,000 psi, which is a lot of pressure! Fuel injection atomizes the fuel by forcibly pumping it through a small nozzle under high pressure. These newer engines also have smaller tolerances, which means that it's a tighter fit. This makes contamination more of an issue since it's so easy for particles to get jammed in fuel injectors in these tiny spaces. You've likely heard the word "scoring" used in this situation. When particles get jammed inside a metal surface, it cuts a groove (hence scoring) with the particle. This can cause damage, which is obviously the last thing you want to do. Bottom line: dirty diesel is damaging your engine and reducing your fuel efficiency. Another common issue with diesel fuel is water. Standard diesel fuel has a saturation point of 50-75 ppm water content. Biodiesel, generally speaking, has a saturation point of approximately 500 ppm. Because water doesn't burn, you lose fuel efficiency. Additionally, water can cause corrosion over time, so it's obviously an unwanted piece of your fuel puzzle. Thus, the water needs to be removed from the system. And really, the sooner the better! As if you needed one more thing to worry about, bacteria can also be a problem in diesel fuel. It can grow in a tank if it's not recirculated. Think about it: the diesel fuel is sitting in a tank. If you get water contamination, that leads to bacteria growth. (Bacteria is anaerobic, which means that it grows without the presence of oxygen, but it will grow because of the water.) You could put in an additive to kill the bacteria, but really the easiest way to kill it is to recirculate the diesel fuel while coalescing the water. This eliminates the chance of bacteria growing. How do I know if I have dirt, water or bacteria in my system? One way to tell you have issues is if your injector fails because it was clogged or scored. Contamination can cause the nozzle to become wider causing too much fuel to be injected into the compression chamber. So if diesel fuel usage is going up, the engine may be using more fuel than necessary. This is an indication you may have dirt or water in your diesel. If you have bacteria in your system, you'll know it because you'll smell it. It smells rancid and rotten. (Think of rotten eggs.) If diesel fuel is stagnant, meaning it is sitting and waiting to be used for an extended period of time, then bacteria could be growing. What are we to do about diesel fuel contaminants? The first priority when it comes to fuel filtration is to remove the dirt. If you don't, the next filter element in the filter loop (water coalesce and separator) can get clogged and will eventually stop shedding water. Step one in the diesel conditioning loop is to remove the dirt and/or other solid contaminants from the fuel. Step two is to remove the unwanted free water. How do we remove the dirt? Remove the dirt by pumping it through a high-efficiency filter element. This can be accomplished in an offline arrangement or inline when filling a diesel fuel reservoir from a holding tank. How do we remove the water? After solid particles are mechanically removed through high-efficiency filtration, diesel fuel is directed through another set of filter housings to remove free water. This two-step process is called water coalesce and water separation. How do we remove the bacteria? Bacteria can actually be mechanically filtered using a high-efficiency filter element. Another option is a biocide, but using a biocide renders the coalesce and separator filter elements ineffective by coating the media. In a high-use application where the diesel fuel does not linger long, bacteria build-up may not occur. For storing diesel fuel over long periods of time, recirculating the fuel while coalescing and removing the free water will deter bacteria growth. There are online and offline options for diesel fuel conditioning. An inline filter housing can be added between the diesel tank and the dispensing nozzle. An offline system recirculates the fuel through a conditioning skid, also called a kidney loop. This system is designed to constantly circulate the fuel through the conditioning skid. If you're not sure what would be the best fit for you, let us know. We provide custom products for customers' specific needs. 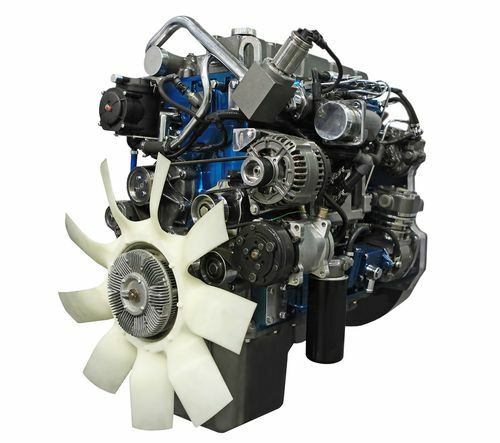 If you are looking to reduce unplanned downtime and maximize the fuel efficiency of your diesel engines, the best possible solution we can offer you is this: get filtration in place immediately. reduce maintenance costs. See how in the case study below.